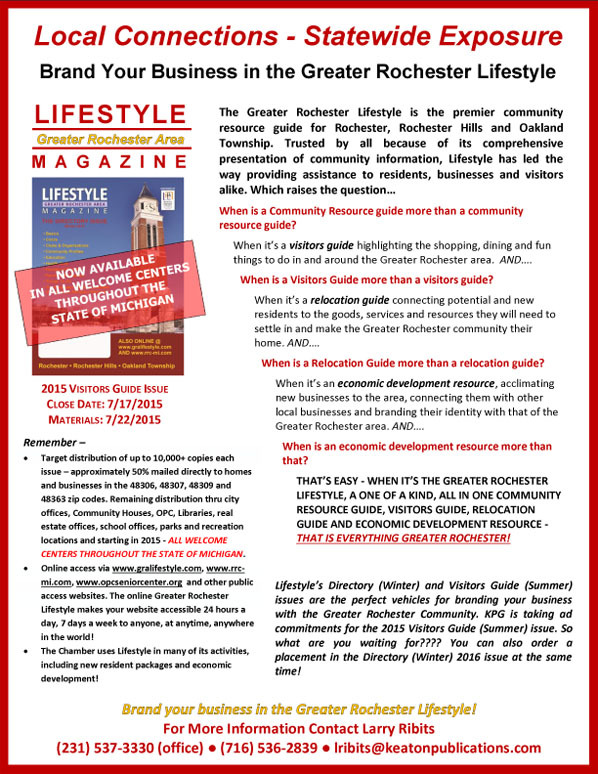 The Greater Rochester Area Lifestyle has become the premier in-depth community resource guide for Rochester, Rochester Hills and Oakland Township. Its comprehensive, no nonsense approach to providing information in an easy to use format makes Lifestyle a special one of a kind resource for residents and local businesses. Need a service, phone number, website or point of reference – you’ll find it in Lifestyle.